Cookie season is fast approaching. I want you to be armed with all of the tools in my arsenal as we head into the winter months. Cooking a soup or stew is hard to mess up, but cookies and other baked goods… those are an art. It takes finesse to create the perfect cookie. I’m still mastering cookie perfection, but I’ve learned some tricks on my baking journey that might help you along your way. That may seem like a given, but I see people greasing cookie sheets when the instructions specifically say not to. I think it’s due to fear that the cookies will stick. They wont, I promise. Keep the shortening away. If you are worried about your cookies sticking, try using a Silpat or parchment paper. When the directions do instruct you to grease the sheet, don’t go hog-wild with the PAM (you can get my thoughts on cooking sprays here). Instead, use a cloth to rub a thin layer of shortening to the pan. 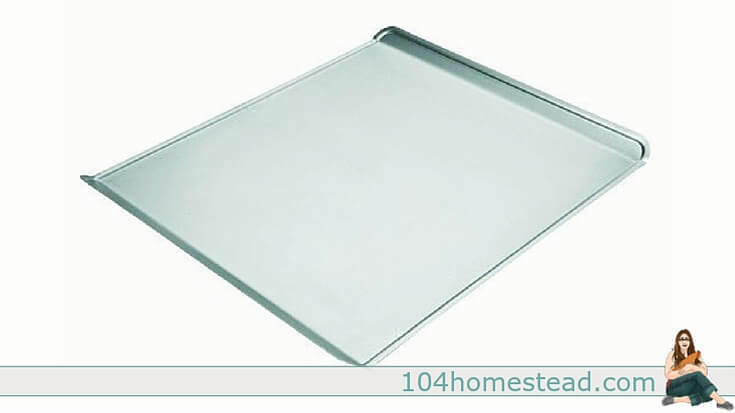 Greasing the cookie sheet too heavily or when not necessary causes the cookies to spread and burn on the edges. If your oven beeps when it’s preheated, that’s great, but don’t put too much trust in it. Allow your oven to preheat for 10-15 minutes before putting the first sheet of cookies into the oven. To assure you’ve reached the right temperature, I suggest getting an oven thermometer. They are cheap and will save many a batch of cookies. Although you can cook a couple of sheets at a time, having more than one sheet of cookies baking at a time can cause unevenness in heat distribution. The heat of the oven moves and the additional sheets mess up the flow. Also, be sure to allow the pan to cool completely before putting another batch on it. What is photographed above is actually a jelly roll pan. 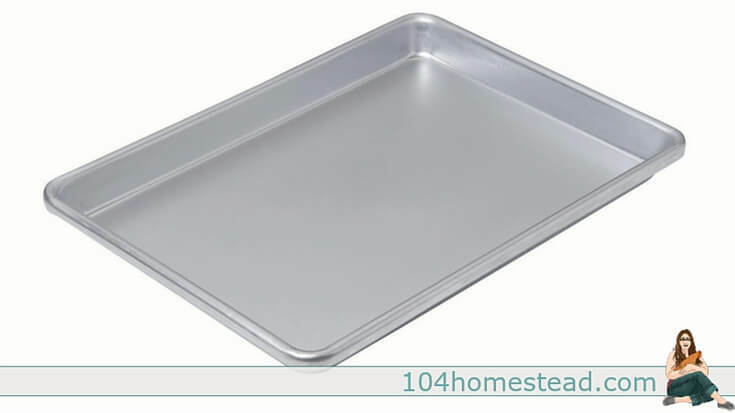 It’s commonly used for a variety of baking jobs, but jelly roll pans have 1/2″ sides that reduce air flow between cookies. This is the exact sheet I use for all my cookies. It’s the Chicago Metallic Commercial II Uncoated Cookie Sheet. What I love is that although it cooks more evenly than any other pan I’ve used, it isn’t very expensive. It’s not a $5.99 Walmart special, but some sheets are over $30 each. This one costs about $14. In general, cookies should be spaced 1 1/2-2″ apart unless more space is indicated in the recipe. This goes with patience being a virtue. Yes, you can squish a whole bunch together on the sheet and be done faster, but they wont cook as well. When a recipe gives you a cookie size, it actually means it. Baking times and temperatures are contingent on the size of the intended cookie. If you make them smaller than instructed, they will burn and/or dry out. If you make them larger, they may end up gummy and under cooked. Use a measuring spoon or cup to assure that the cookies are uniform in size. #8 Please Don’t Squish Me! Why do we feel the need to assault our cookies? Unless you are making peanut butter cookies with the cute cross-hatch pattern or another cookie that is supposed to be squished, please stop squishing the poor things. It creates a dense interior and it just doesn’t look as pretty. Drop the cookies on the sheet and leave them be. Now you are armed with plenty of cookie know-how for this year’s holiday baking. 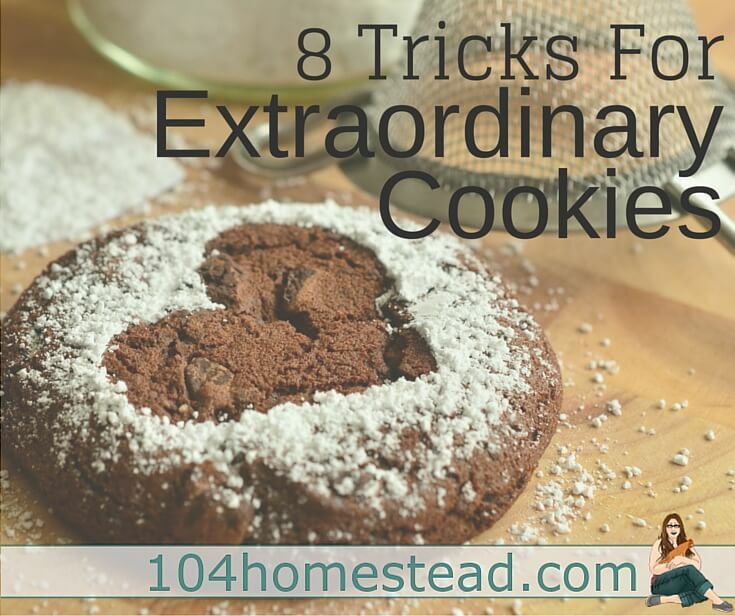 Great tips for perfect cookies! Thank you for explaining how a jelly roll pan reduces air flow between cookies! The unfortunate thing is that my big cookie sheets won’t fit in my current oven?? But still, this is a great post! 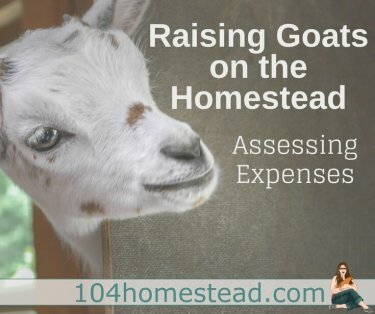 Some really great tips! Making sure they have enough space is so true, I often forget. Great tips! Thank you! I think I always overcrowd my pans! And you just described why none of my cookies turn out 🙂 Great tips – had no idea that greasing the pan mattered that much! This is an awesome post! sharing. Me to 🙂 It’s one of those “do as I say, not as I do” things. Thanks for the tips, Jess! I really could have used all of these expert tips when I started blog baking two years ago! Instead I had to learn through (often bad) experience! In addition to using all of your ideas, I sometimes do a trial run of just one cookie if I am working with a new recipe. A trial run gives me an idea of cook time in MY oven with MY baking sheets which can differ from the recipe. That way I am only potentially over-baking 1 cookie rather than a whole tray! (Been there, done that!) Also, I have found that your tip #7-size is essential. A cookie scoop and an inexpensive kitchen scale keeps cookies the same size, which allows a whole tray of cookies to cook evenly. 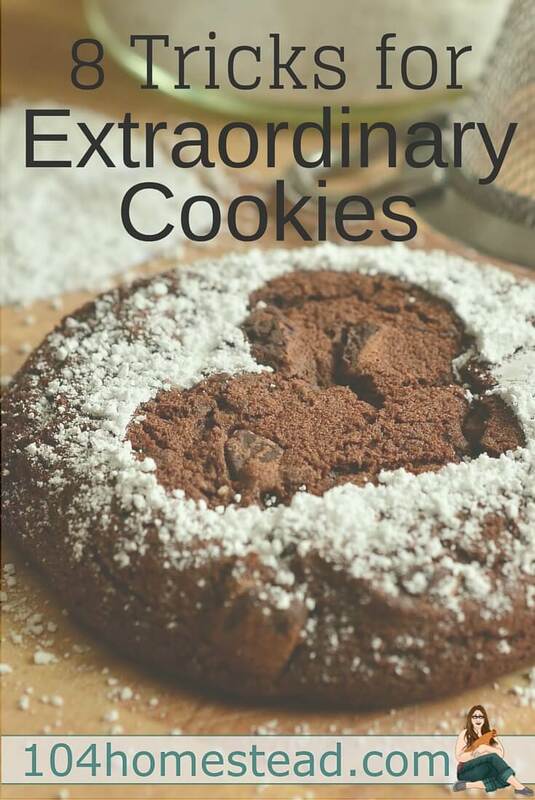 Can’t wait to enjoy all of your extraordinary cookies for Cookie Month ’14 !